His Holiness the 14 Dalai Lama. (TibetanReview.net, Aug26, 2016) – China has indicated that it is positioning Gyaltsen Norbu (Gyantsen Norpo), the 26-year-old replacement 11th Panchen Lama imposed by it on the Tibetan people, to take on the role of the Dalai Lama, Tibet’s exiled spiritual leader. The Dalai Lama had in 1995 formally recognized six-year-old Gadun Choekyi Nyima as the reincarnation of the late 10th Panchen Lama, but the Chinese government took away and disappeared him forever. 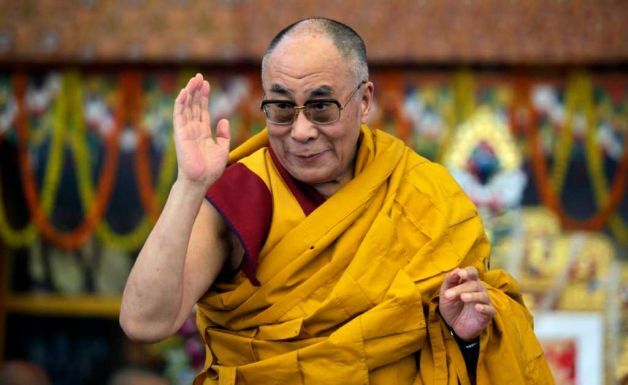 As the 81-year-old 14th Dalai Lama becomes less active on the world stage, the (replacement) Panchen Lama, the other top ranking figure in Tibetan Buddhism, is garnering greater popularity and building up his credibility among Buddhist believers, said an in-depth coverage by China’s international party mouthpiece global Times Aug 24. It said the 11th Panchen Erdeni Gyantsen Norpo, 26, who long kept a low profile, had gradually increased his involvement in public life. It said his visits to Nagqu (Tibetan: Nagchu) Prefecture and Lhasa, talking with officials and monks, and visiting temples, schools and a hospital; and his hosting of a Kalachakra teaching at the New Palace of the Panchen in Xigaze (Shigatse) City, which attracted hundreds of thousands of attendees, had been seen as being designed to counter the influence of the Dalai Lama and prepare for a post-Dalai Lama era. However, the posting did cite an ethnic minority affairs commentator who uses the pseudonym Zhou Quan as saying while these activities could help Gyaltsen Norbu win greater recognition among Tibetans, it may prove difficult to persuade them to abandon their faith in the Dalai Lama. Explaining why, Zhou has said, “It’s not a straight choice between the two for the worshippers.” To them, the Dalai and Panchen lamas are the highest leaders of the Gelugpa, or Yellow Hat sect, the most prominent school of Tibetan Buddhism. But Xu Zhitao, deputy director of the Bureau of the Tibetan question at the United Front Work Department of the Communist Party of China Central Committee (UFWD) feels confident that Gyaltsen Norbu will assume the prime spotlight in time to come. “As he grows up and shoulders more social positions, in addition to political and religious titles, he will get involved in more activities and generate more media coverage,” he was quoted as saying. However, it emerged as obvious that the 11th Panchen Erdeni Gyantsen Norpo is being treated as nothing more than a puppet being especially groomed for that role. Xu has said Gyaltsen Norbu’s education and childhood were special due to what he has called the Dalai’s interference and that China had gone to great lengths to ensure his education and healthy growth. He has said that unlike other tulkus who are now usually educated in official Tibetan Buddhism colleges from childhood on, Gyaltsen Norbu was privately tutored in his residence (in Beijing).